Unfortunately, a whole host of problems can and will arise with vegetable gardening. However, it’s best to approach it systematically and patiently. Some of your issues can be solved quickly, and some will be more difficult to decipher. 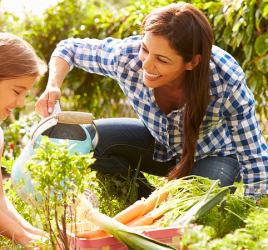 Investigate and try different things, and eventually, you will be a gardening expert! Problems can arise with your newly developing plants even before you can expect any fruit. 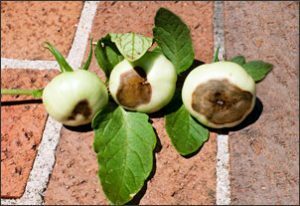 Try to diagnose and treat these common problems before your plants produce fruit so you can still reap a good harvest. Plants can wilt for many reasons. If your seedlings are withering, the problem could be dry soil, rotting roots or stems, a fungal disease or fertilizer burn. For seedlings you are growing indoors, you need to water from the bottom rather than the top and avoid overwatering which results in root rot. If you are starting seed with soil from your yard, sterilize it in the oven first and apply a fungicide. If you are using fertilizer, make sure to read the directions on the package well and mix it thoroughly into the soil. Older plants can wilt for some of the same reasons. They are either too dry or too wet, or they have contracted root rot. Tomato, eggplant, potato, and pepper plants can suffer from vascular wilting which you can remedy by rotating your crops and making sure not to overwater. Plants don’t grow to their full potential when they are planted too close to each other and competing for nutrients. Make sure to follow the directions on the back of seed packets or the instructions that come with your plants and leave enough space in between each plant. One of the most common reasons for small and pale plants is not enough sunlight. Many plants won’t do well in a shaded garden. If you can’t move the plant to where it can get 6-8 hours of full sunlight each day, you may want to consider planting shade-tolerant plants instead. Cold weather and too much water can affect your plants this way as well. Cover with cloches or row covers if it’s still too early in the season and temperatures are low. Overwatering can be a problem as well: improve your plant’s drainage. This problem could also be because of your soil’s pH. Good, aged compost can work wonders! Mix five to six inches of compost into the top 12 inches of soil. Dark spots on your plant’s leaves and stems are usually caused by a chemical burn or a disease. You can remedy a chemical burn by watching how much fertilizer you apply and take care of the application spot. If fertilizer is applied too directly, the plants can get hurt. Diseased plants may need to be removed altogether, and disease-resistant varieties planted in their place. If the edges of the leaves are turning brown, this could be because of dry soil or cold damage as well. Leaves can curl as a result of moisture imbalance, such as heavy rains after a drought. You can avoid overwatering by applying mulch. In addition, one of the other reasons for curling leaves is herbicide. Make sure you apply any herbicides when there is no wind, or control weeds using mulch. Aphids are another common problem resulting in curling leaves. As noted above, aphids can be a problem in your garden and cause curling leaves in your plants. You can destroy them by hand, spray them with water, introduce more aphid-eating insects, or use insecticidal soap. Aphids can also spread viruses in your plants, so controlling them is essential. Air pollution or spider mites can cause white spots. You can wash air pollution off with water in enough time to let it try before nightfall. 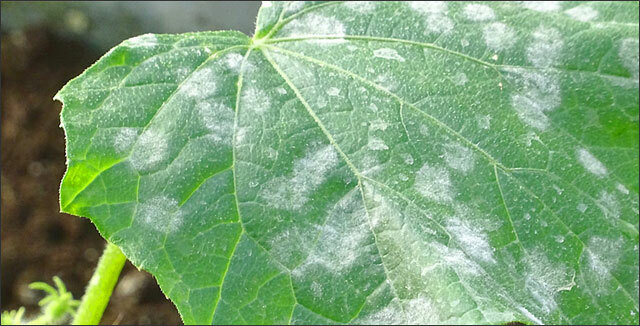 Spider mites need to be treated with insecticidal soap or registered miticide. A white coating is probably powdery mildew on your leaves, which happens when the weather is humid but leaves are dry due to being spaced too close together. Space plants further apart to improve air circulation. The obvious pests problem in any garden are animals that want to eat your delicious vegetables before you can! Insects, slugs, birds, rabbits, deer, and rodents all pose a threat. We’ve written more extensively here about how to discourage deer from your garden. You can also use slug bait, floating row covers, fencing or netting. Plants will not fruit for several reasons, the most likely of which is that the weather is too hot or too cold. There isn’t much you can do about this except to wait. Another common reason plants won’t fruit is because it isn’t pollinated. You can attempt to pollinate them yourself by shaking the plant or with a brush if it’s self-pollinating. Avoid killing pollinating insects. Additionally, you can encourage pollinating insects in several ways. To read more, please see Why Plants Fail to Produce Fruit. If your yield isn’t as you had hoped, it may be a problem with pollination, with uneven soil moisture, or with temperature. Mulch will help with soil moisture. You could also have poor soil fertility, which you can amend with aged compost. Lettuce and spinach bolting or “go to seed” is when plants extend and begin to flower. When temperature rise and days get longer, plants going to seed is a pretty common occurrence. You can avoid this by planting early in the spring and by choosing a variety of “bolting resistant” plants. In addition, you can remove the plants and plant a new crop for the fall or summer harvest if you do not want to save seed. Sweet corn that develops irregular kernels is usually caused by insufficient pollination. One way to help eliminate this is to plant your sweet corn in blocks of several smaller rows. Snap beans that have flowers that do not develop is most likely caused by the temperatures hovering over 90 degrees Fahrenheit during the daytime hours. Flowering should begin again once the temperatures drop. Have you found a large rotten spot on your tomatoes or peppers? This is known as “blossom end rot.” It’s caused by a calcium deficiency. This condition develops when soil moisture rises and falls irregularly or when nitrogen fertilizer has been applied too heavily. A drought that is quickly followed by heavy rains is an example of when this might happen. A solution to this is first, do not over-fertilize. Mulch is another excellent solution. By using mulch, you will keep your soil from losing too much moisture, and when there is not enough rainfall, mulch will help make up for it. Typically the first fruits on tomato plants can be deformed. This is caused by low temperatures ranging around 50 – 60 degrees Fahrenheit around the time the flowers are developing. The fruit that forms when it is warmer will look normal. 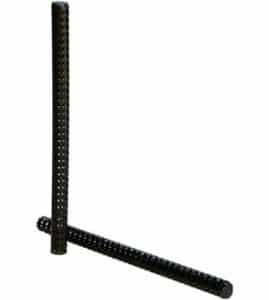 By installing the Root Starter Sticks around your garden plants, you will bypass many potential problems. Root Starter Sticks will provide your vegetable with the oxygen, nutrients, and water in the root zone allowing your garden to flourish. Have you had any problems growing the vegetables in your garden? If so, how did you solve those problems? We would love to hear about your experience in the comment section below.